Amid the fracas of the global financial crisis, 100 of Commonwealth Bank’s top financial planners flew to Auckland for an annual three-day bash in honour of the bank’s biggest earners, the so-called ”diamond alliance”. Donning big hair and jewellery, they bopped and drank the night away at a 1980s solid-gold-inspired fancy dress party. It was Tuesday, October 28, 2008, and financial markets were looking ragged. Lehman Brothers had collapsed the month before and tensions were high as the elite of CBA’s financial planners gathered to pick up awards and trophies for a job well done at Auckland’s five-star Sky City Grand Hotel. Yet, charging their champagne glasses as awards were handed out to the top 12 planners, including Don Nguyen, a pall hung over the evening as they tried to forget CBA’s bombshell news the previous day that it had frozen seven CBA-owned Colonial First State mortgage funds valued at $3.3 billion. After spending the day sailing around the harbour in Americas Cup boats while their mobile phones ran hot from panicked investors trying to get answers, Nguyen and his fellow planners tried to focus on the night’s events. One victim, Jan Braund, a retiree, received a call from Nguyen earlier in the day advising her to ”switch all monies out of existing instruments into the bank’s wholesale cash fund”. Nguyen rang other clients including an 85-year-old man who had put most of his savings in the fund. It was for a medical emergency. His wife was housebound but was described in the financial needs analysis document as in ”good health”. Nguyen’s advice to them was to put in a redemption request straight away. The advice was too late. The funds had been frozen. And with this, his chance to churn them into several new portfolios with new upfront fees for the bank and trailing commissions for planners like himself was gone. Advisers were given lists of clients on the day who had been affected and told to hose down their fears. Nguyen hit the phone hard. 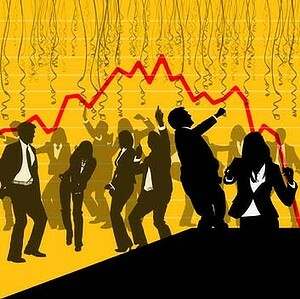 The freezing of the funds was a disaster for many of the 61,000 investors. More than four years later, some are still waiting to get their final capital allocation back. CBA said some investors received earlier payments as a result of hardship applications. In the months before October 2008, numerous bank customers had been persuaded to switch from the safety of term deposits to these funds with higher rates, which gave the financial planner and the bank a nice trailing commission that they didn’t get from a humble term deposit sold by a teller over the counter at some suburban branch across Australia. It was part of a last ditch effort by planners to reach their sales targets and boost their funds under management so that they could earn their June 30, 2008, bonus – and qualify for the international three-day conference. This week, as more details have emerged of the conduct of CBA’s planning division between 2005 and 2010 and the corporate regulator’s tardy investigation, there is now a Senate inquiry into the regulator and, ominously, ”other matters”. There are serious questions on how the Australian Securities and Investments Commission handled the tip-off from a group of bank insiders in October 2008 into allegedly corrupt conduct. The whistleblowers urged that there was some urgency in securing the files of Nguyen as they were being ”cleaned up” and that the issue had much broader implications than one dodgy planner. ASIC finally investigated in March 2010. CBA has since compensated 1127 clients of Nguyen and other planners who gave ”inappropriate advice”, paying out $49.4 million. Nguyen controlled up to $300 million of client money and the bank has paid out 200 of his clients a total of $23 million. All up ASIC has banned seven CBA planners, who are believed to have represented thousands of clients and managed hundreds of millions of dollars of their money. CBA has also undertaken to overhaul its systems, including improving compliance standards. Several of the managers involved have moved on, and now hold senior jobs at other institutions with similar sales-based type cultures. Some have threatened legal action. It has prompted some class-action law firms to investigate whether the CBA scandal is the tip of an industry-wide iceberg. Senator John Williams said if the Coalition took government in September the inquiry would complement the financial services inquiry, nicknamed the son of Wallis inquiry after the Wallis banking inquiry of the late 1990s. ”We are looking at the regulation of ASIC and how it performs its duties and this will complement Joe Hockey’s inquiry,” he said. Meanwhile, the industry is readying itself for a new regulatory regime on July 1, under the Future of Financial Advice, which is designed to clean up the industry and make fees more transparent. CBA believes FOFA will ”ensure that advice customers receive from financial advisers is in their best interests”. Justin Brand, from non-aligned financial advisory Arc Financial Consulting, says the vertically integrated model is inherently conflicted. ”What you have is product manufacturers controlling advice channels, setting product targets and ultimately creating a group product ‘sales is everything’ culture, as recently exposed,” he said. It was the ”sales at all costs” culture insiders and former staff close to the situation believe was the cause of the problem at CBA. They warn that FOFA will deal with hidden fees and disclosure but it won’t change the quest to drive sales. Geoff Derrick, national assistant secretary at the Finance Sector Union, said FOFA was a step forward but continuing dependence on commission-based remuneration and sales targets meant banking culture remains ”a numbers game”. A Fairfax Media investigation can reveal that the culture inside the planning division before the financial crisis was like a boiler room – such as was made famous in Ben Affleck’s movie, Boiler Room – a place that thrives on high-pressure sales tactics and strategy to sell financial products. Since the Fairfax Media investigation began, dozens of former and current CBA staff have come forward to provide detailed information on what happened at the bank at that time and give an insight into the way the bank interacted with the corporate regulator. Insiders have detailed how planners were indoctrinated to focus on sales and fees at any cost. ”This was not financial planning, this was head-counting commission car selling,” one former CBA planner said. Several former CBA staff said the excesses of the boiler-room culture were best demonstrated in April 2008 when sales were dropping through the floor and managers started to panic that their annual bonuses were shot. Two key managers, who have since moved to other financial outfits, decided that the solution was to tap into CBA’s huge deposit book (the largest in the country) and switch it into mortgage funds, which would hit the funds under management figures before June 30 and, bingo, problem solved. Over the course of April and May 2008 they held meetings in state offices, handing out local branch deposit data that detailed client names and bank accounts with amounts over $50,000. ”They blatantly asked planners to contact as many of these clients and ‘churn’ the 100 per cent secure funds into the Colonial First State Income Fund. This was so everyone – including the managers – would hit their full-year targets and qualify for a hefty bonus … it was big money at stake,” a senior planner said. When some got their bonuses, planners and managers celebrated at Otto’s in Sydney’s harbourside Woolloomooloo before finishing up in a seedy strip joint in Kings Cross. 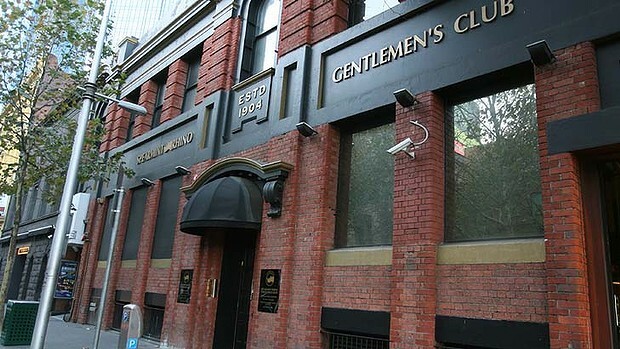 When the same managers visited the Melbourne planners, the night ended at Spearmint Rhino, a strip joint in Melbourne’s King Street. Many former planners recall being actively hounded to generate excess sales and threatened with dismissal if they didn’t meet targets. For the planners who wrote the most business, the world was their oyster. Insiders say the relentless focus on sales and commissions meant financial planners – and senior management – were often at loggerheads with the bank’s compliance staff, who were there to make sure standards were met. Compliance was described as the ”business prevention unit”. ”The problem was that senior management had their KPIs [key performance indicators] listed as moving money to CFS [Colonial First State]. It was identified even in compliance meetings as a key indicator of success. Those KPIs were filtered down to middle management and then the advisers. What has that got to do with providing quality of advice?” one former compliance manager said. External compliance controls had been removed in 2004, to be replaced with an internal unit that was tasked with ensuring that 700 CBA planners provided appropriate advice to clients, kept and maintained records and met regulatory guidelines. When file reviews led to poor performance ratings, planners risked losing a large chunk of their bonuses, as well as threatening those of their superiors. Documents reveal that sales targets of funds under management and fees were increased every year to the detriment of client interests. An email sent in 2007 by a manager who still works today in a similar role at CBA outlines targets for planners. This included 12 referrals, eight first interviews a week, five statements of advice (SOA) a week, with the proviso that planners ”only to produce SOAs where a sale will result”, four sales a week and one ongoing service client per month, which is equivalent to 12 a year. A spreadsheet of actual sales against sales targets for the period February 2006 shows that out of 43 groups only four areas were below the income target of 100 per cent, with the majority 150 per cent and above. The statements of advice to clients looked impressive to the uninitiated but most of the pages were standard ”boilerplate” text, a former planner said. ”Again, you only needed one signature at the end and unscrupulous planners would gloss over or just lie about the fees. Come audit time and they’d give you two weeks’ notice to get the specified files into shape. I believe that this is when a lot of the harassed planners, lacking client signatures, would resort to forging them,” he said. One planner recalls being present at an event where it was announced by a jubilant manager that Nguyen had persuaded a widow to pay him a fee on a $1 million investment. He was referring to Nathalie Kulakowski, an 88-year-old, who signed a document, which Nguyen later filled in saying ”generation of more income was not important to her”. It also said her timeline for investments was seven years with access to funds after five years, when she was 93. She maintained that Nguyen did not tell her $30,421 of her investment would be paid to CFP, including $16,732 in commission to Nguyen. Nguyen’s treatment of the client would eventually be cited as a cornerstone case when he was banned by ASIC for seven years in 2011.
new business, more than 3½ times his sales target. Despite repeated warnings from 2006 about the quality of Nguyen’s work, including the rorting of fees, cash backhanders and warnings by compliance that he was a ”serious business risk”, Nguyen was promoted to senior planner in October 2008. But even as CBA began to face lawsuits from victims over his misleading and deceptive financial advice, Nguyen continued to work with a minimum of compliance oversight. In fact, senior staff debated ways to ”position” past negative reports about his conduct in a response to inquiries by ASIC. As late as March 2009, the bank’s decision to assess Nguyen using centralised file reviews saw him receive a ”negligible risk” rating. Within four months, he would quit the bank. But just how routinely oversight and compliance rules had been violated became stunningly apparent when internal investigations into Nguyen began in earnest in the lead-up to his ”resignation” in July 2009. An inspection conducted on May 29, 2009, found 17 client files were missing, one of which had already been declared ”lost” by Nguyen after a spot check the previous year, according to internal bank documents. While CBA would eventually wash its hands of Nguyen, it didn’t happen quickly enough – and Nguyen wasn’t alone. Queensland-based planner Ricky Gillespie would be banned from the industry for life in late 2012 after being caught forging client signatures. Documents obtained by Fairfax Media reveal that the bank knew of at least 14 instances of forgery as early as October 2008 – around the time of the annual conference – but it would take until June 2009 before Gillespie ”resigned”. A CBA compliance report on Gillespie dated October 16, 2008, advised of ”issues of suspected irregularities” in the signatures of four of his clients. Within a month another 10 signatures had been identified as possibly fraudulent. In one case, the forged signature was used to obtain a one-off commission of $3200 and create a continuing fee of 0.83 per cent of the value of an investment portfolio. The conduct of Nguyen, Gillespie and others destroyed the retirement plans of thousands of hard-working Australians, some whom were forced to rely on Centrelink when their nest eggs were depleted by bad investments they never agreed to. They include Mervyn and Robyn Blanch, who saw their life savings plunge from $260,000 to $92,000. A retired reverend also suffered after investing $147,163 in 2006 with Nguyen and seeing it drop to $65,772 by February 2009. Initially the bank refused to compensate him but in late 2010 he was offered $37,000 without admission of liability. He was offered a further $14,000 in February 2013. Another victim was an 87-year-old man, hard of hearing and partially blind. His son, who is fighting to get compensation, said his father had saved his whole life with Commonwealth Bank and only ever put his money into term deposits. ”One day he had a visit to his house from a planner who put him into different products. Dad was in his last days and passed away three years later. Why on earth would he put his money into riskier investments?” he said. ”He lost a lot of his money and we [my brothers and sisters] supported him until his death as his money got locked into the deals during the GFC,” he said. The Senate inquiry will be wide ranging, covering the effectiveness of ASIC and, according to Senator Doug Cameron, will include CBA and its financial planning arm. The inquiry is seeking information from the public. For the many victims who had to wait years to get compensation, they are pleased to be able to have a voice. Merilyn Swan, the daughter of the Blanchs, who were forced onto Centrelink because of ”inappropriate advice”, welcomes the inquiry. ”Nguyen is the primary cancer, from which the malignancy spread. They all need to be held accountable, including Nguyen, and be made responsible for the misery they inflicted on their investors and face some serious repercussions for their activities. There needs to be some sort of justice extracted from this sorry episode,” she said.